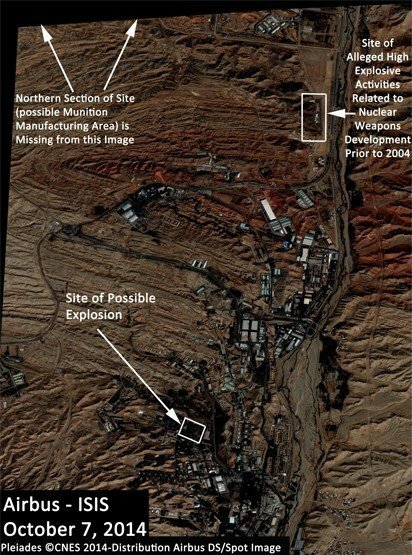 First, there was the apparently satellite-documented explosion that killed two workers at the Parchin military complex – access to which, you may recall, Iran still denies the International Atomic Energy Agency (IAEA). Then, a mere three days later, came the claim by Iranian dissidents that Iran was still researching nuclear weapons and that it had moved its most sensitive research projects to a new location “in recent months” – which could place the move squarely around the first time the deadline for a nuclear deal had to be deferred after a deadlock in the negotiations. Both reports, particularly the first one, brought to the fore a fact that has often been omitted from the rather optimistic coverage of the ongoing nuclear talks: that Western inspectors still don’t have access to some key Iranian sites. Tehran may say full access is contingent on the removal of suffocating sanctions, but Parchin hints that even if a deal is finally reached, it could achieve limited results. We fully expect Zarif, Ashton et. al. to be all smiles when they meet next week, to make the usual joint statements about “difficulties” and hope for future progress. Will the uncomfortable matter of Parchin be raised, or will the race to reach a deal take precedence?